Wild E Coyote wrote: I notice that OBD scanners get rather hot during operation. Is that normal? Perhaps they heat up to much, up to the point of affecting their performance? 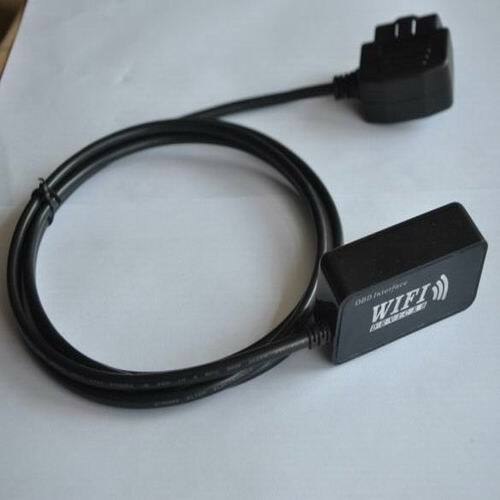 Yes, it seems all china ELM327 WiFi become hot, but we didn't notice any influence to performance. By the way, we are testing now OBDLink MX WiFi, it is much colder, although 3-4 times faster than any china WiFi adapter. I am using a HP laptop with atom processor (1.6 MHz) and windows XP with all the patches (original, payed for windows XP instalation). It should be fast and strong enough for handling Forscan, shoudln't it? Wild E Coyote wrote: I am using a HP laptop with atom processor (1.6 MHz) and windows XP with all the patches (original, payed for windows XP instalation). It should be fast and strong enough for handling Forscan, shoudln't it? Yes, it should work fine in this configuration. Do you want try Smart Control? There are so many ELM 327,they all support WIFI functions. What's the difference among Vgate elm 327 and other elm 327s? Tony Back wrote: There are so many ELM 327,they all support WIFI functions. What's the difference among Vgate elm 327 and other elm 327s? Unfortunately, a cheap china adapter is always a lottery. 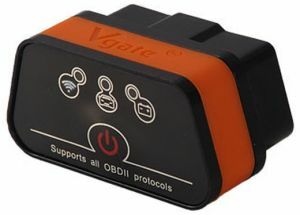 We purchased Vgate bluetooth a year ago and it worked just great. Vgate WiFi purchased a half of year ago works ok as well. But in the past we got complaints from user who purchased adapters with label Vgate and had problems with them. This is why in the past we recommend to purchase while label solutions like OBDLink MX. They are more expensive, but have good stability and performance. They are also better suit to Ford because of built-in MS-CAN support. I just broke my piggy bank for a new sweet mini elm 327 with switch to play with. cheap $12 and much small previous elm327. Plug it into the vehicle's 16 pin socket, turn on the power, wait for the LEDs illuminates, attach the WIFI community of iOS system, and go to the App’s main program, start your first scan and enjoy seeing your engine’s available parameters like Vehicle speed, PRM, fuel pressure, mass air flow, EVAP System Vapor Pressure, Fuel Consumption,etc. The biggest advantages of this new super mini elm327 is that it comes with a built-in power switch to prevent the need for having to constantly disconnect your unit from the OBDII port. I've been using that to read my dad's Ford fault codes using Forscan. However, when I read my own BMW's fault codes using BMWhat app I started to suspect whether or not it finding all the ECUs. I contacted app's developer and he confirmed from the logs that adapter is not catching all responses from the car. Unfortunately adapter settings are different than iCar1's settings - there is no setting for TCP-serial timeout. All the settings I can find are as shown below. Or should I just go with OBDlink MX? Another option that I'm thinking which is a bit cheaper is BMWhat's own adapter (http://www.ivini-tech.de/en/adapter/ios ... mw/a-1003/). Do you guys have any experience with that using Forscan?